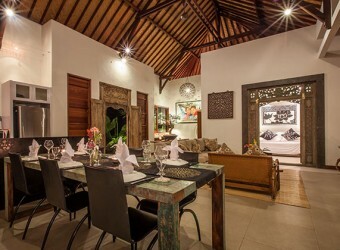 Bali Hotel Villa Umawake located between Badung and Tabanan where you can see endless rice field that you can not see in south resort area now. From villa, its easy access to Echo beach for surfing, Nirvana Golf course, Tanalot Temple that Bali iconic sight spot. The woody taste interior and earth color furniture makes you feel cozy and relax.